Thank you, Art Time and Timpe CPAs! It’s almost time to file 2018 taxes – are you ready for the new tax law? 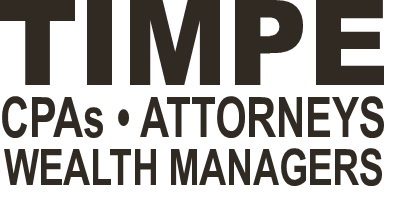 Timpe CPAs can help! We specialize in helping individuals, families and small businesses with their income tax needs. Our Firm’s roots are the traditional CPA profession’s role – tax and accounting services. Arthur Timpe Jr. has been practicing as a CPA since 1972. Art Jr.’s sons, Art III and Gary, have been licensed CPAs since 1997 and 1999 respectively. With 9 CPAs and an experienced tax staff, we serve primarily closely-held businesses, individuals, and families in the Indianapolis area. With the changes in tax laws affecting your 2018 taxes, please let us know if we can be of service to you. Call or visit our website for a tax appointment or for more information on our firm and the services we offer.